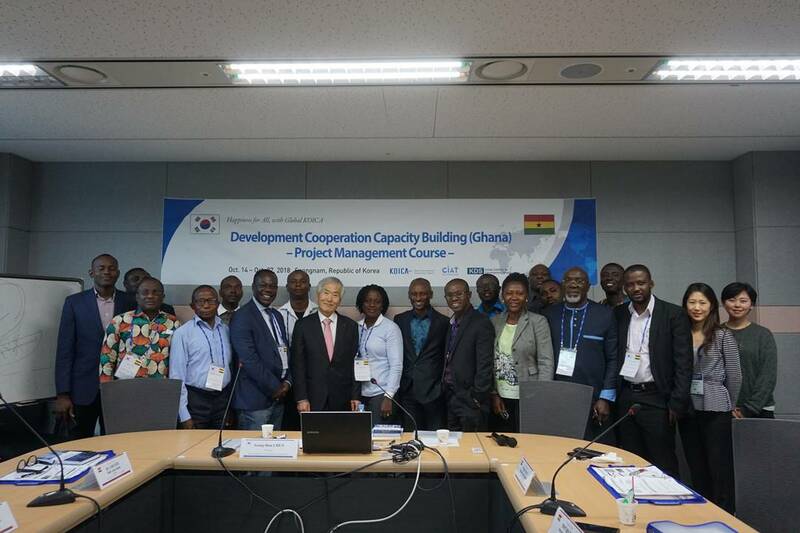 The Korea Institute for Development Strategy (KDS) has successfully conducted the 'Development Cooperation Capacity Building (Ghana)-Project Management Course' in Korea from October 14th to 27th, which is a part of KOICA's Capacity Building Improvement and Advancement for Tomorrow(CIAT) Program with the purpose to enhance capacities of public officials from developing countries. 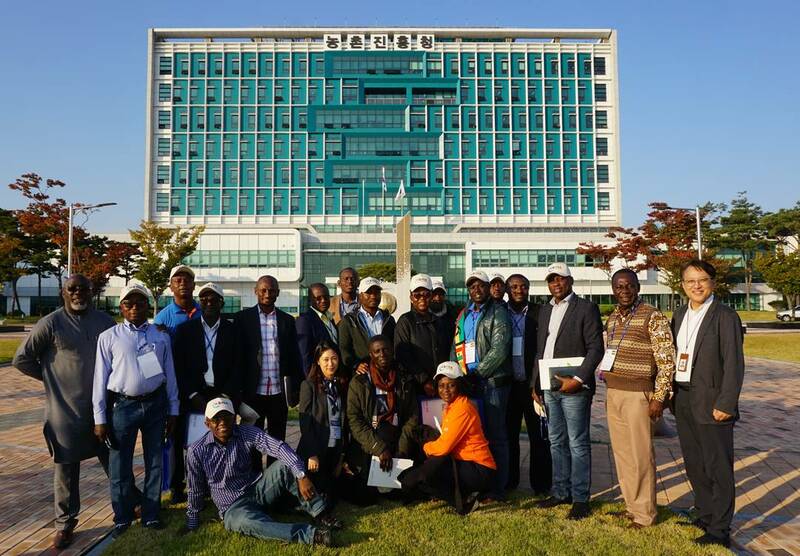 For the second-year invitational training program, 18 Ghanaian public officials and agronomists were invited to Korea. The course was aimed to support Ghana in achieving the goal to strengthen ODA project management capacity of Ghana's policy makers and project managers in agricultural sector. The program consists of a series of lectures on Korea's experience on developing agriculture; site visits to public institutions operating agricultural projects; Action Plan workshops; and extracurricular activities. Lecture subjects include; Agricultural Development Policy and Economic Development in Korea, Understanding of Korean Agricultural R&D and Extension System, KOICA's Agricultural ODA Project Management System, etc. Participants have also visited Rural Development Administration, Wanju Yongjin NH Local Food Market, National Institute of Crop Science and other relevant institutions, understanding the roles of each institution and learning the trial and error for Korea's agricultural development. On the basis of the lessons from lectures and study visits, Ghanaian delegates have discussed the current issues and challenges of agriculture in Ghana and presented its strategies and policy initiatives for the development of Agriculture during the Action Plan workshops. Dr. Chun, the President of KDS, Prof. Namho Lee of Hankyong University and Dr. Saejung Seo of National Research Foundation of Korea have provided essential and realistic policy advice and feedback on the Action Plans.